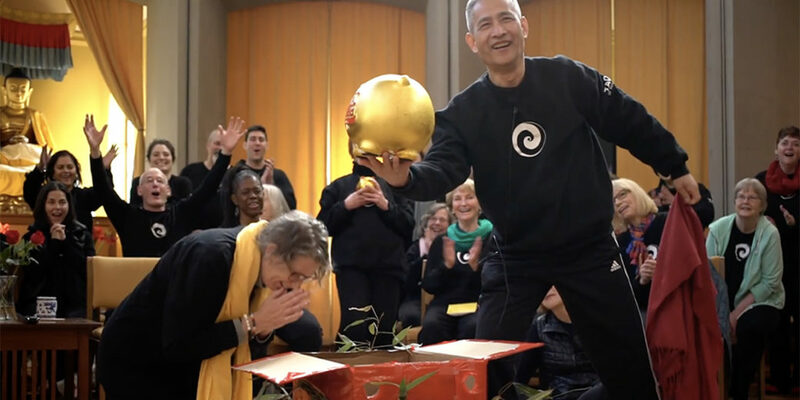 We wanted to share a fun sneak-peek into a recent Tao of Healing retreat weekend. As a silly spoof on the awards shows and a celebration of the Year of the Pig, we let loose and had a little fun of our own. Why does life need to be so serious anyway? Each person in attendance was asked to write their intention for the year on a slip of paper. With some exuberance, the intentions were added to the pot. A few were chosen to receive a beautiful red rose. But just one lucky winner was chosen to receive the grand prize… a golden pig!